1. Lateral Lunge ball roll. 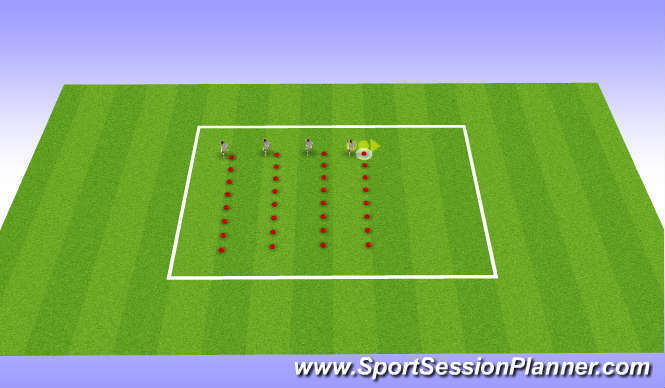 Players in pairs: Player 1 on command tells Player 2 to laterally lunge to left or right side, where ball is rolled to meet player&apos;s feet. Encourage players to keep chest high and lunge with control, co-ordinating a sound technical lunge with meeting the ball. 10 on each side before swapping over for 2 sets. 2. Lateral Lunge Figure 8. 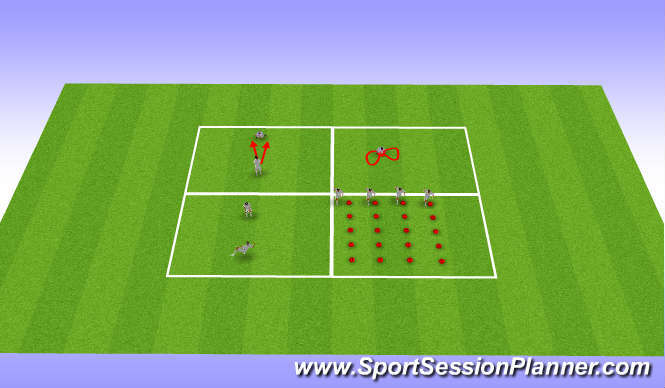 Players take turns in making a figure of 8 with the ball around lateral lunge position. Emphasis on shifting weight smoothly as ball is passed side to side, maintain balance and posture, and take time in moving the ball! 3 x 10 figure 8s, rest during swapover.